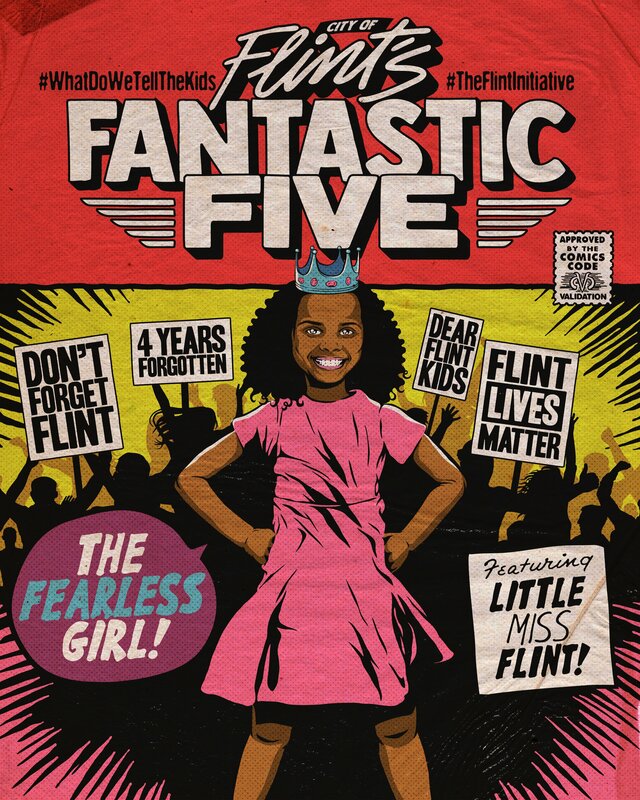 Brazilian artist Butcher Billy was commissioned by STATE bags to create #FlintsFantasticFive, a series of images depicting several key voices in addressing the Flint water crisis. I was recently invited by STATE Bags to take part in its latest social initiative, called #FlintsFantasticFive. Four years ago, a man-made water crisis forced the residents of Flint, Michigan - a majority of which are black and 40% in poverty - to live with lead poisoned water. Following dozens of lawsuits, officials resignations, criminal indictments and a federal public health state of emergency, Flint residents are still living with the realities of this deadly issue, and dangers are still very much a part of their lives. STATE Bags decided to shed light on their struggles and stories, highlighting the positive efforts and people driving their city, and gearing them up for back to school, so they are equipped to beat the odds so stacked against them. This is STATE's newest #WhatDoWeTellTheKids project, featuring Flint’s Fantastic Five - 5 real women who decided to stand, as social visionaries, activist teachers, anti-bullying activists and defenders of democracy - they represent everything the city of Flint is all about: resiliency, pride and love.